Imogen's Typewriter. : 5 Things I do for Self Care! 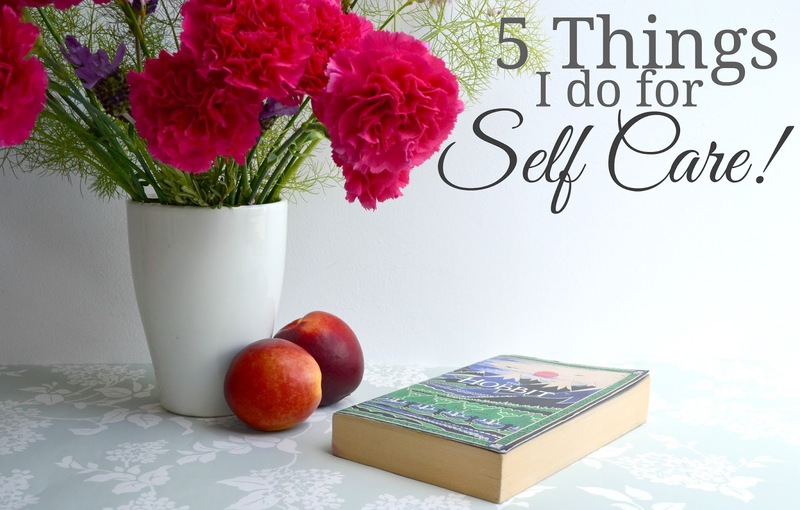 Today's 5 Things are 5 things I personally do when I'm in need for a little self care. Self care is things you do to really look after yourself and your physical and mental health. It's particularly important for people with health problems that maybe need that extra boost. I'm not an expert, these are just 5 things I do to make my days a little brighter and easier. When I start to feel really overwhelmed I tend to take a step back and look at what is making me feel this way. Degree work, blog stuff, clutter, feeling poorly, lots of things can contribute to me feeling stressed and retreating just helps me see it in a neutral way, take a deep breath and break it down into little manageable pieces in my mind or on my to-do list before I jump back in. Despite being basically a book blog at this point, reading is actually kind of difficult for me. Concentrating on one thing is something I have to really work on but I find reading so relaxing once I hit my groove. Reading can take me away from how I'm feeling and put me in another world for a few minutes/hours. It helps me sleep better and can be super refreshing and comforting depending on your book of choice. Personally I find my CBT therapy really difficult whenever I go but the pay-off is huge and I always leave feeling lighter. Obviously this is depending on if you have good health insurance or a national health service but there are also lots of free resources online. The Samaritans are always available and Lauren has a great post about her experience. I don't pretend to know much about nutrition. I think a lot of it is common sense and treating yourself once in a while, but when I feel rubbish- that second bar of chocolate seems a heck of a lot more tempting than cooking. Eating good things and treating your body to the right stuff can make a world of difference though, even if it's just making small switches like fruit instead of chocolate or kale chips instead of crisps.